Feel-Bad Education: And Other Contrarian Essays on Children and Schooling by Alfie Kohn (Beacon Press: Boston, MY ©2011) is his twelfth book where he argues that our schools are in the grip of a “cult of rigor” where harder is confused with better. Joy and meaningful learning are at risk. In nineteen recently published well researched essays, Kohn invites us to think beyond conventional wisdom. He questions much of what schools reflexively do and makes the reader understand why many current reform efforts are misguided. 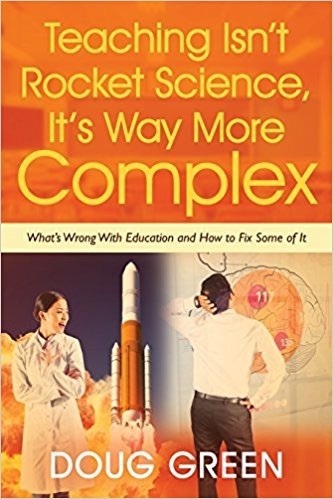 If you believe that NCLB and Race to the Top efforts make sense, you need to read this book. It will give parents and educators alike a fresh perspective they can use to shake the system for the better. Click the button below to purchase from Amazon. This entry was posted on Wednesday, July 13th, 2011 at 10:43 am	and is filed under Book Summaries, Education Books, Leadership Books. You can follow any responses to this entry through the RSS 2.0 feed. You can leave a response, or trackback from your own site.